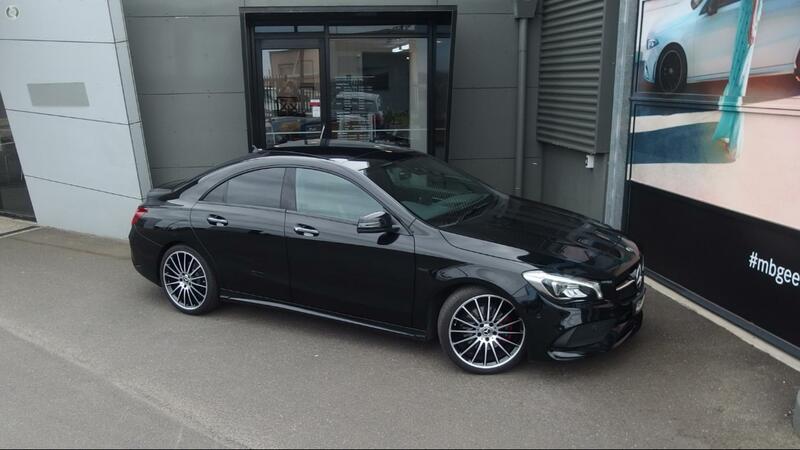 CLA250 Sport, This Sporty Coupe looks stunning finished in Cosmos Black Metallic over Black Dinamica AMG Trim. Features include White Art Edition, 4Matic All Wheel Drive, Comand Sat-Nav, Harman Kardon Sound System, Cruise Control, Reverse Camera, Heated Seats, Blind Spot Monitoring, Memory Seats, Panoramic Glass Sunroof, Intelligent Light System, Keyless Enter N Go, DAB Radio, 19" Multi Spoke Alloys, Bluetooth and much more. Buy with confidence from an award winning Mercedes Benz Dealership. We are conveniently located just 45 minutes west of the West Gate Bridge. Simply click Send Enquiry and one of our friendly knowledgeable sales staff will give you a call to arrange an inspection and test drive, we will even bring the car to you.